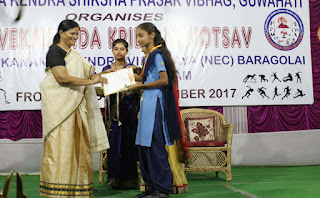 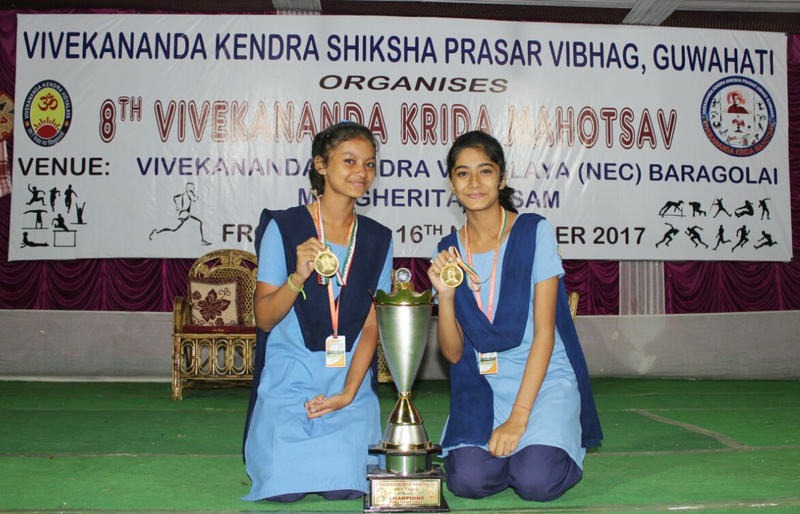 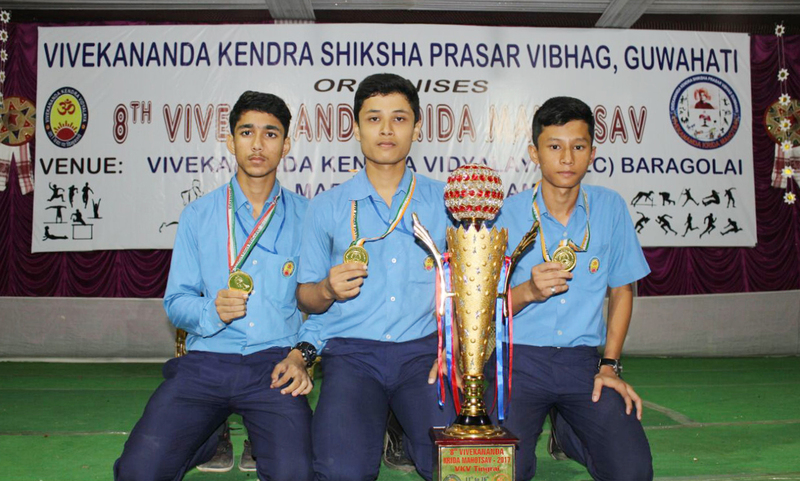 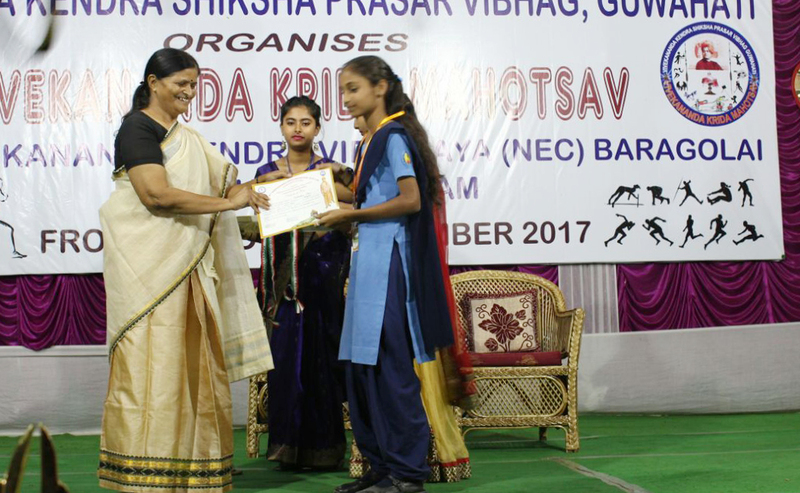 In the recently concluded inter VKV sports meet (Vivekananda Krida Mahotsav-VKM), VKV Golaghat students performed exceedingly well. 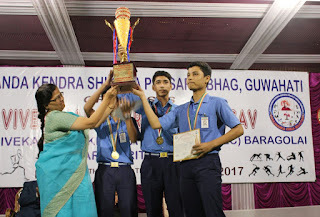 In both Table Tanis and Badminton, our students won all four golds in boys and girls categories. 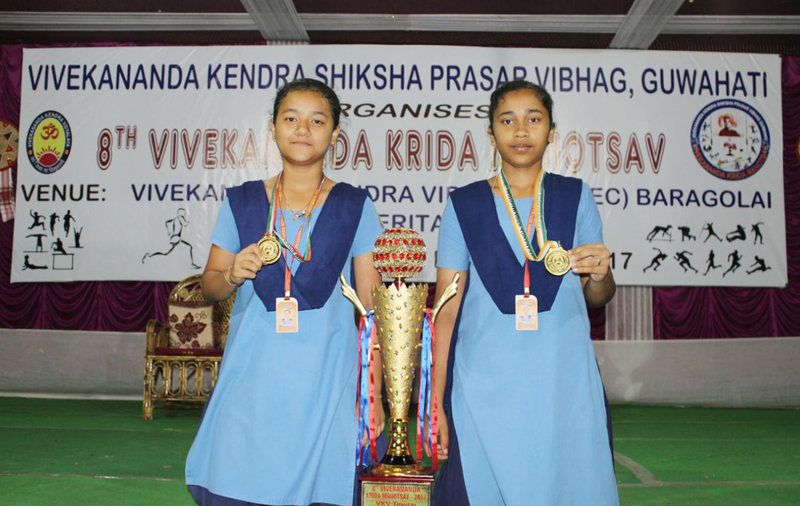 Badminton girls - - Tania bordoloi, Dina Sabri. 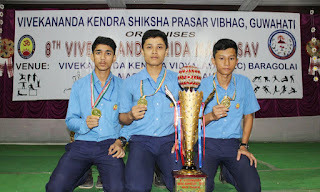 TT boys - - Kumar Arnov, Mrinmoy Dutta, Aryan Ahmed. 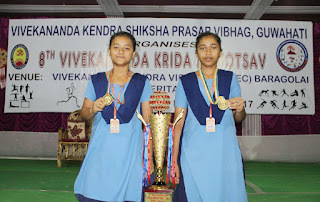 TT girls - - Jyogyta Gogoi, Praptipriya Sarma. 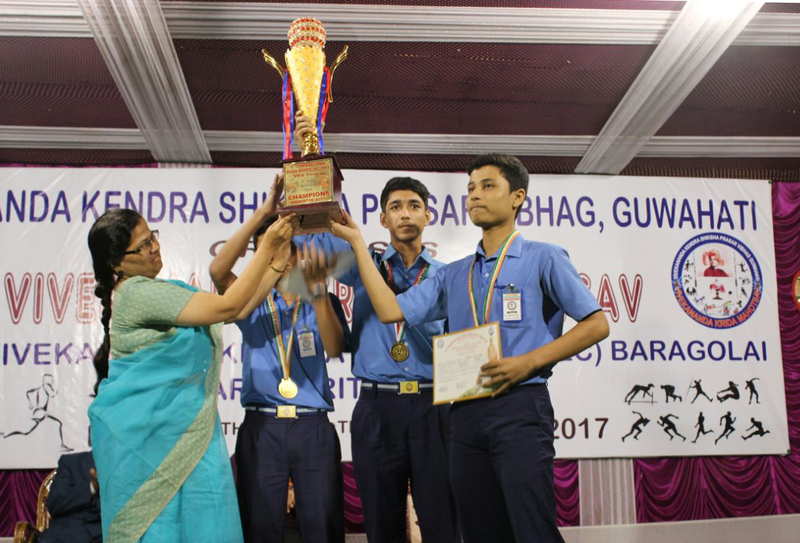 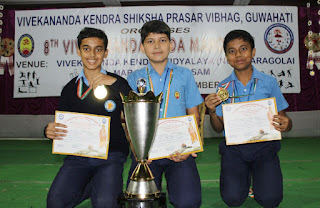 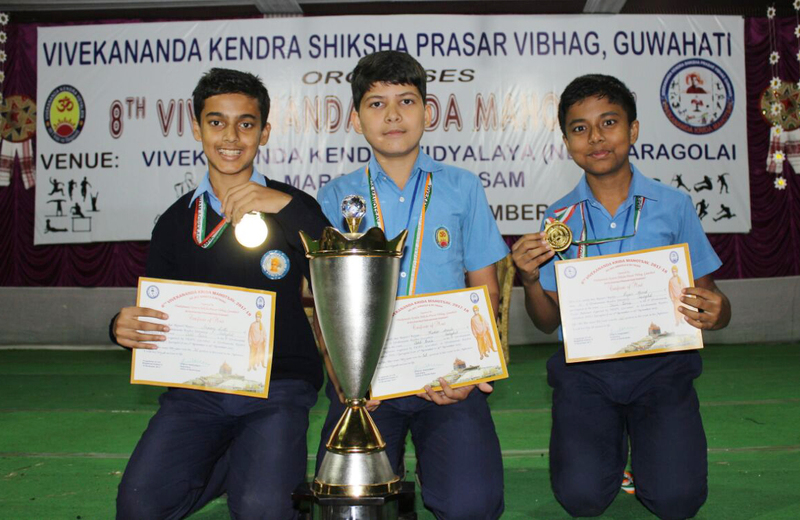 In chess boys, Sarthak BAISHYA (VIII) of VKV Golaghat won silver. 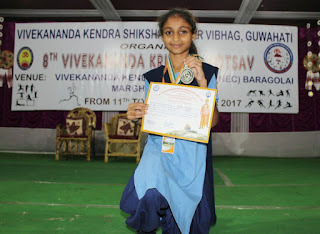 Kanandeep Kaur (VI) won bronze and silver in 100m and 200m race respectively. 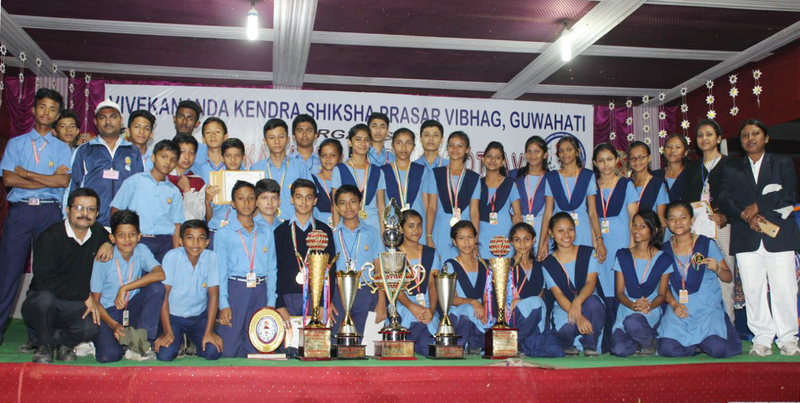 With four Gold, two Silver and one bronze, VKV Golaghat was adjudged as Best Sports Team in the entire event. 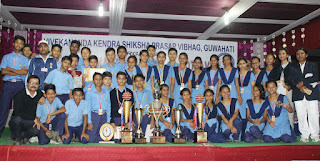 Total 20 VKVs from Assam and Nagaland took part in the six-day event. 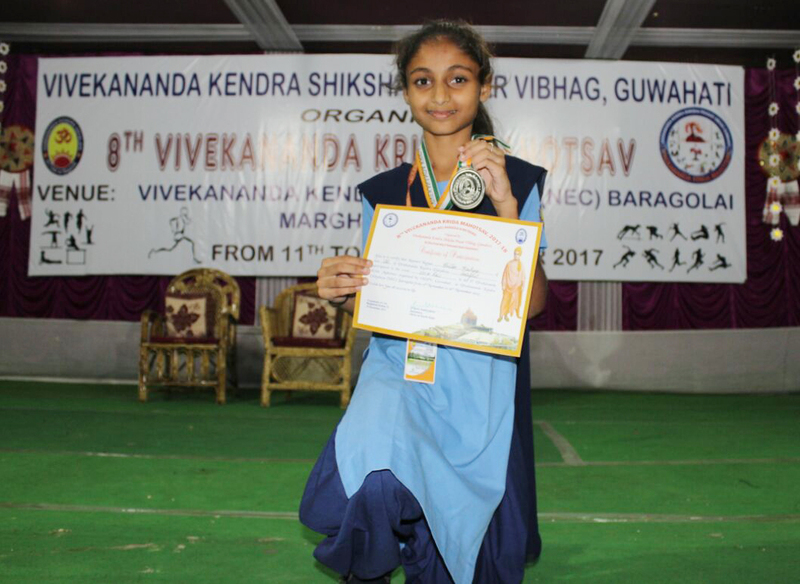 This eight edition of VKM was jointly held in VKV Bargolai (Margherita) and Tingrai from 11-16 Nov 2017.